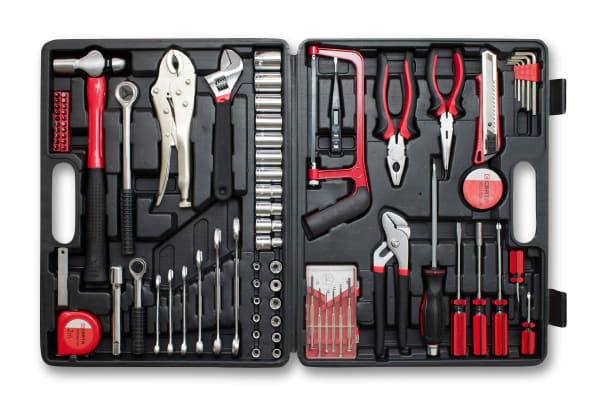 A must-have tool set for anyone who loves fixing things! Have you always been the one on whom your family relies for fixing things? Do DIY projects get you all excited? If you answered both these questions happily with a yes, then the 81 Piece Metric Tool Set and Carry Case will get your heart thumping with excitement! The Certa 81 Piece Metric Tool Set Including Carry Case makes it easy to take care of any and every household repair or maintenance task. 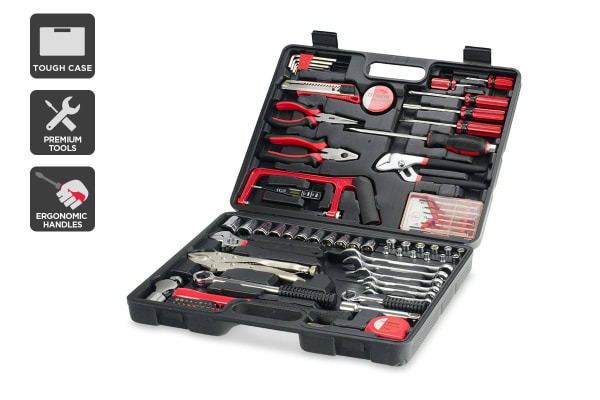 The carry case conveniently stores a variety of high-quality pliers, screwdrivers, spanners, sockets and a plethora of other useful tools and accessories. With the diverse range of tools in this bag, you’ll never fall short no matter what you’re looking to create or repair! The handy plastic carry case is sturdy and fits all 81 pieces in a neat and secure manner, so you’re always organised and prepared to take on any leaking faucet, wobbling chairs or any other household maintenance crisis at short notice. Great value for investment of money.